We’ll be tasting our newly released and 100% local Madeleine Angevine wine. We’ve paired it with lavender cheddar cheese produced by Golden Glen creamery out of Bow, Wa. Yumm! 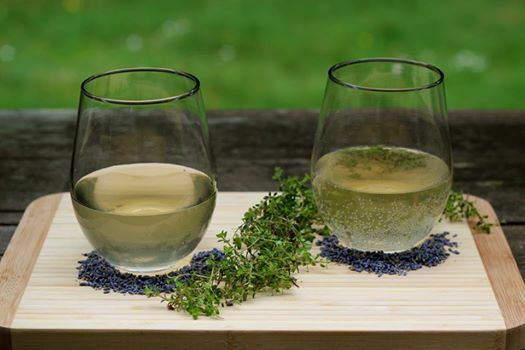 Also, winemaker Greg created a very special lavender infused, sparkling Riesling for you to sample and purchase by the glass. The base wine is our Dungeness White which is slightly sweet and deliciously refreshing. The flavor of the lavender infusion is subtle but distinct and the fragrance is absolutely divine. This Saturday, the Barn will sizzle with the return of the West Coast Women's Blues Review. 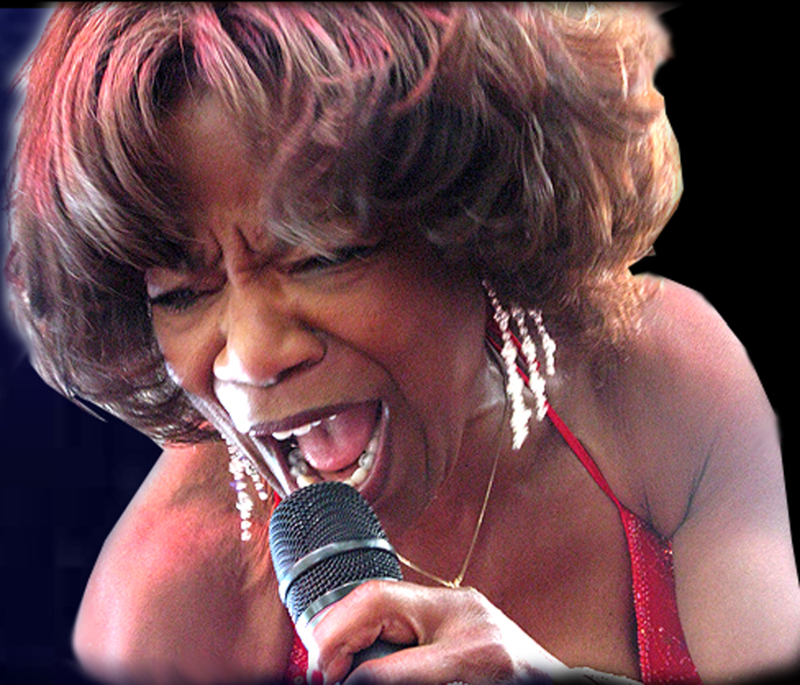 This band plays smoking hot, soulful blues, delivered via the powerful voice of Patti Allen. A fresh electric soulful feel spices their blues. They shine with the power of Aretha and the pearl-in-laid guitar coolness of Bonnie Raitt & Eric Clapton. A one two punch of brilliantly burning vocal genius and blazingly sweet blues guitar licks demand attention! They last played the Barn in 2012 and if you were there – you know – They Brought the House Down! The show was amazing, full of energy and a soulfulness that brought tears to the eyes at times. Every summer, each of our concerts benefits a different non-profit. This week’s non-profit group, the Jefferson County Fund for Women and Girls envisions a world where women are safe, economically secure and free from discrimination so that they can reach their full potential. We’re proud of what we’ve all accomplished over the past few years, raising more than $45,000 for our Olympic Peninsula Community. Let’s make this season the biggest and the best. Join us this Saturday. Let’s blow it out and support a great charity! Tickets cost $13 in advance or $15 at the door (if any remain). Order on-line at Brown Paper Tickets or visit the winery. Doors open at 6:00. The band starts at 7:00. • Doors open at 6 p.m. Band starts at 7 p.m.
• Carpooling is much appreciated as parking is limited. • The concerts are held outdoors, rain or shine. • Throw some chairs in your truck. Seating is festival-style. • We have tables and chairs but do not reserve them. They're the first to go. • Great bands equate to lots of dancing. We reserved the spaced under the patio in front of the band for dancing. That's why there is no seating there. • Bring some warm clothes. It gets cold once the sun goes down. • You can bring in food and non-alcoholic beverages only. It is against the law for you to bring in your own alcohol. • There is a food vendor on-site, Little Devil’s Lunch Box. • We are a family venue. But, concerts are usually 98% adults. • All of these concerts are staffed by volunteers from the non-profit of the week. This week’s non-profit is Jefferson County Fund for Women & Girls. West Coast Women’s Blues Revue is a showcase of female artists full of musical and artistic variety! 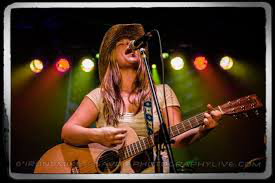 Teri has performed and/or recorded with: Curtis Salgado, Bonnie Hayes, Duffy Bishop, Lady A, Rae Gordon, Karen Lovely, Vicki Stevens, Polly O’Keary, Rod Cook, Mark Riley, Red Hot Blues Sisters, Rosewood Embargo, School of Jam , United By Music and more! She has received a Best Band award and Best Guitar nomination from the Washington Blues Society. 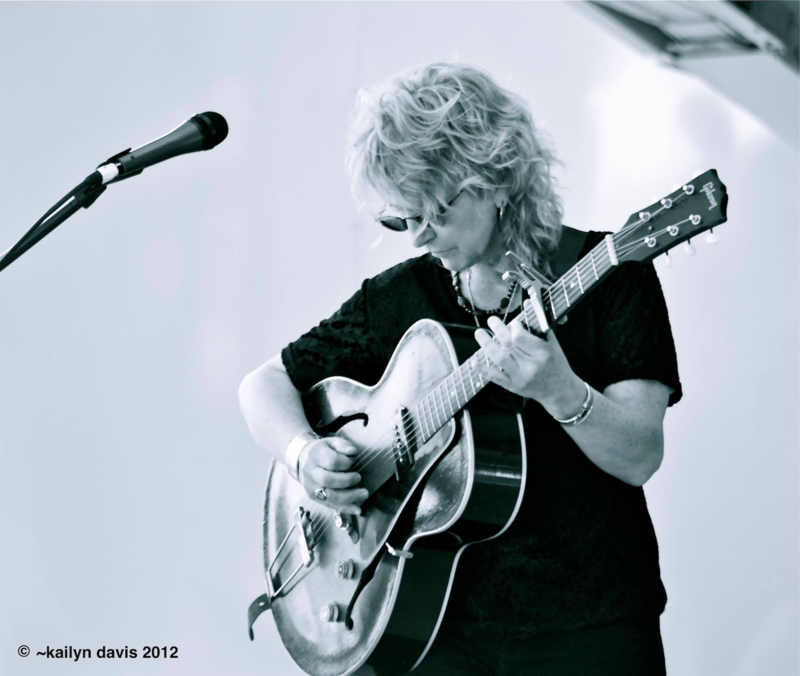 After touring Europe for the 3rd time, she founded the West Coast Women’s Blues Revue to feature female artists in 2010. Her new solo album is being produced by Curtis Salgado at Falcon Studios in Portland. With 32 nominations from the Washington Blues Society, Stacy Jones continues to blow fans away with high-energy, genre bending performances. With amazing vocals, incredible musicianship, outstanding songwriting and powerful, dynamic arrangements – it’s easy to understand why Stacy captivates crowds and gathers new fans worldwide. A Multi-Instrumentalist, she is no stranger to guitar, harmonica and keyboards! 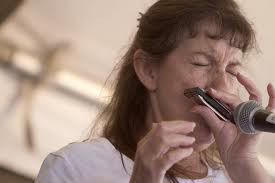 All the way from Bend, Oregon, LynnAnn Hyde is a well-known and nationally endorsed harmonica and button-box player (see Hohner Harmonicas USA and Baldoni Accordions) and is also a songwriter/arranger of note in the Pacific NW. As one half the duo of Kinzel and Hyde, she and long time partner Stu Kinzel are regarded as “Guardians of Traditional Blues” (The Blues Notes) and are also noted as “…one of the best acts the NW has produced…” (Back to the Roots, Be). R is for it’s RAIN and I mean lots of it! A is for Anyone out there? Or are you all hunkered down to keep warm & dry? N is for “Need a good Red Wine” for this cold, dreary, gray, rainy day? As many of you know all of our 2009 Red Varietals (Cab Franc, Petit Verdot, Syrah, Merlot) all won medals, gold - double gold and super accolades at competitions, Best in Show and Best in Class. 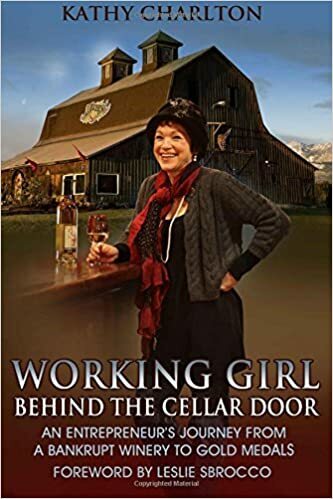 What you might not know is we also bottled Go Girl Red and Handyman Red blends from 2009 wines in our cellar. Really, really good. Yesterday I talked to two friends. First thing I asked was “what’s wrong” when I heard their voice… “Oh, (very dejected sounding) I’m doing my taxes”. Well, so am I, today, along with year-end state and federal reporting for the winery. Yuk, Yuk, Yuk! You know my answer for this kind of misery… pour yourself a good glass of wine. But taxes equate to money… so to take a little of the sting out of your whole ordeal and to encourage you to come out on this dreary weekend here’s the deal…. This weekend only... Buy 2 bottles of either 2009 Go Girl Red or Handyman Red (or one of each) and get the third one free. Technically I can’t say free… so it works out to a discount of 33%. But if you think you might need 6 bottles to get you through, buy 3 and get 3 free, or a 50% discount. Ssssh… Molly and Lisa are in Atlanta on a buying trip. I’m slipping this by them.